Very laid back looking to meet kind, generous person who does not care for stress or ego. I enjoy music, art, reading, meditation and spending time with my daughter a couple of times a week. Currently working for a charity that helps people with learning disabilities express themselves through art which has been rewarding so far. Does countingcalm belong in this group? 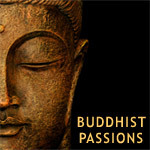 I'm the once buddhist in my zone and i want to chat with other people only. I think people cannot understand my in my zone. Does b3ar88220 belong in this group? Does jerrylance belong in this group? Heruka With the wish to achieve the highest aim. Which surpasses even a wish fufilling gem. I shall train myself to at all times cherish sentient beings as supreme. Does gnosis belong in this group? Does peacedragon belong in this group? Does namasteoxox belong in this group? Does tresstim belong in this group? I am not gift I am surprise I will tell you later. Does vanilaice belong in this group? Does seahorse123 belong in this group?